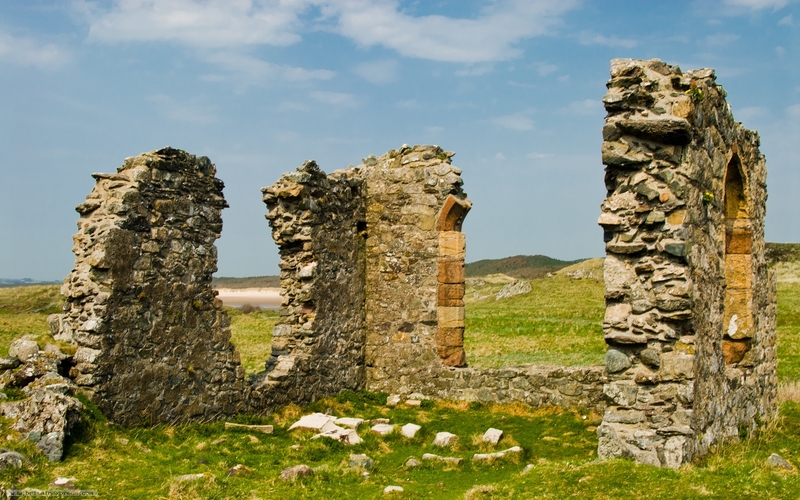 Llanddwyn Chapel is a ruined 16th century church built on the site of a 5th century shrine to St Dwynwyn, the Welsh St Valentine. Dwynwyn established a hermit cell on the tidal island of Llanwyn, and her shrine became a place of pilgrimage for lovers. A pair of historic lighthouses are set on the edge of the cliffs, just beside the chapel. This detached farmhouse near Newborough sleeps nine people in five bedrooms.